When even a paparazzo thinks you've gone too far, you've probably gone too far. Packer's life will always draw interest but how does the Australian press tread the balance? 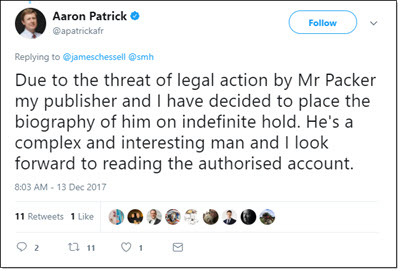 An unauthorised biography of billionaire James Packer by Australian Financial Review journalist Aaron Patrick has been put on ice because of legal threats.